First temple of Swaminarayan devotee inaugurated in Delhi capital region with the grace of Yogi Bapa (Yogiji Maharaj) and with the efforts of Kakaji named as श्री अक्षरपुरुषोत्तम स्वामीनारायण मंदिर (Shri Aksharpurushottam Swaminarayan Mandir). Pramukh Swami Maharaj dedicated himself to fulfilling his guru`s(Yogiji Maharaj) wish, giving the vision and inspiration for स्वामीनारायण अक्षरधाम (Swaminarayan Akshardham) on the banks of the Yamuna River at New Delhi. By the great efforts of Sabharwal family, Bhalla family and Shri Hansraj Madan, DDA allot a 500 square meter plot to increase vaidik sanskriti and this place named as आर्य समाज मंदिर (Arya Samaj Mandir) Ashok Vihar. Famous marriage registration service provider in Kavi Nagar as per hindu marriage act. A center of Dayanand Saraswati`s inspiration in Ghaziabad आर्य समाज मंदिर (Arya Samaj Mandir), near Shri Parshwanath Digambar Jain Mandir. आर्य समाज मंदिर - Arya Samaj Mandir dedicated to promote The Vedas, Satyam Palace, Khudi Ram Bose Marg, Mayur Vihar, Delhi 110091. A Indian hindu religious reform movement to promoted the Vedas founded by Swami Dayananda Saraswati on 10 April 1875. आर्य समाज मंदिर (Arya Samaj Mandir), punjabi Bagh is the center of vedic culture and Swami Dayanand Saraswati`s thoughts. After 18 years of successful inauguration in Sector 22 Balak Nath Ji mandir (May 1989), Shri Shiv Shakti Siddha Shri Baba Balak Nath Welfare Society initiate second Balaknath Ji mandir in Noida, stablished as मंदिर सिद्ध श्री बाबा बालक नाथ जी (Mandir Siddha Shri Baba Balak Nath Ji). To fulfill spiritual upliftment and self-development by economic empowerment of the devotees of Babaji as well as other needy people established बाबा बालकनाथ सिद्ध पीठ (Baba Balak Nath Sidh Peeth) near D-park sector 62 Noida. Guru Har Krishan Sahib Ji, the eighth guru of the Sikhs stayed at this place in the year 1664, now-a-days called as गुरुद्वारा बंगला साहिब (Punjabi: ਗੁਰੂਦਵਾਰਾ ਬੰਗਲਾ ਸਾਹਿਬ, English: Gurudwara Bangla Sahib). भगवान वाल्मीकि मंदिर (Bhagwan Valmiki Mandir) dedicated to Maharishi Valmiki. Prime Minister Narendra Modi gave a clarion call for a ‘स्वच्छ भारत - Swach Bharat (Clean India)’ on the birth anniversary of the Mahatma Gandhi on 2 October 2014. A peaceful place of Purushottam Shri Ramchandra Ji bhakt is called भगवत धाम (Bhagwat Dham) near Mayur Vihar metro station. One can found a big terracotta bengali style architecture called चित्तरंजन पार्क काली मंदिर (Chittaranjan Park Kali Mandir) while travelling between Nehru Place and Kailash Colony metro station. Shri Dada Dev Ji Maharaj worshipped in twelve villages (Palam, Shahbad, Bagdola, Nasirpur, Bindapur, Dabri, Asalatpur, Untkala, Matiala, Baprola, Poothkala and Nangalrai) as Gram Devta, therefore devotees built temple called श्री दादा देव मंदिर (Shri Dada Dev Mandir). दक्षिण दिल्ली कालीबाड़ी (Bengali: দক্ষিণ দিল্লি কালীবাড়ি, Dakshin Delhi Kalibari) dedicated to Maa Kali at the foot of the hillock holding the Malai Mandir in Ramakrishna Puram, opposite Vasant Vihar. Ancient Puranas varnit Hiranyagarbha Jyotirlinga is pray as सिद्धपीठ श्री दूधेश्वरनाथ महादेव मठ मंदिर (Siddhapeeth Shri Dudheshwarnath Mahadev Math Mandir), It was the age of treta yuga before the birth of Shri Ram. श्री दूधिया बाबा भैरव नाथ जी पांडवों कालीन मंदिर (Shri Dudhiya Baba Bhairav Nath Ji Pandvon Kalin Mandir) dedicated to Baba Bhairav Nath Ji(also called Bhairon, Bheron, भैरों) an fierce incarnation of Baba Bhairav, near Indraprastha metro station, Purana Qila(Kila) and Pragati Maidan. Bheem worshipped here and got siddhis in this area. With the great efforts of Shakarpur Tyagi Samaj DDA allocate this new location from Nirman Vihar, famous location of Navratri and Janmashtami called as मनोकामना सिद्ध दुर्गा माता मंदिर (Manokamna Siddh Durga Mata Mandir). द्वारका कालीबाड़ी (Bengali: দ্বারকা কালীবাড়ি, English: Dwarka Kalibari) performs all special pujas and organises social activities with the help of devotee. गणेश मंदिर (Ganesh Mandir) dedicated to Lord Shri Ganesh founded by V.Sankar Aiyar in 31 Oct 1952 (Renovated - 22 Apr 1999), group of two temples Shiv Evam Shani Mandir along with Shri Ganesh Mandir, both temple share same wall and also interconnected. गोलोक धाम (Golok Dham) established by Jagadguru Shri Kripalu ji Maharaj. One of the famous destination of JKP. A devine place of Lord Shri Radha Krishan in the heart of khan market named as श्री गोपाल मंदिर (Shri Gopal Mandir) near Lok Nayak Bhawan. Temple is 100 meter far from Khan Market metro station. When you walk through Vaishali metro station using right side escalator, you always feel a yellow shade temple among 4-5 high rise building. When you reach this peaceful place, you will find Lord Shiv temple called श्री गोपेश्वर महादेव मंदिर (Shri Gopeshwar Mahadev Mandir), Sector 4 Vaishali. Beautiful spiritual picnic place having jeevant kalakratiyan, caves and park near Preet Vihar metro station in the campus of शिव मंदिर गुफा वाला (Shiv Mandir Gufa Wala). गुरुद्वारा श्री गुरु सिंह सभा (Punjabi: ਗੁਰਦੁਆਰਾ ਸ੍ਰੀ ਗੁਰੂ ਸਿੰਘ ਸਭਾ, English: Gurudwara Sri Guru Singh Sabha) founded by the group of people from Noida. Gurudwara Sahib structure design inspired by Hemkund Sahib Uttarakhand and also look like a lotus outer wings. गुरुद्वारा सीसगंज साहिब जी (Punjabi: ਗੁਰਦੁਆਰਾ ਸੀਸ ਗੰਜ ਸਾਹਿਬ ਜੀ, English: Gurudwara Sisganj Sahib Ji) dedicated to Ninth Sikh Guru, Guru Tegh Bahadur, one of the nine historical gurdwaras in Delhi. First established in 1783 by Baghel Singh to commemorate the martyrdom site the ninth Sikh Guru, Guru Tegh Bahadur. With the blesses of Bhagwan Jagannath nearby spiritual body श्री हनुमान मंदिर (Shri Hanuman Mandir) in Sector 15A Faridabad. Shri Hanuman blessed in प्राचीन श्री हनुमान मंदिर (Prachin Shri Hanuman Mandir) since 1960 inside the vast area of Nehru Park. 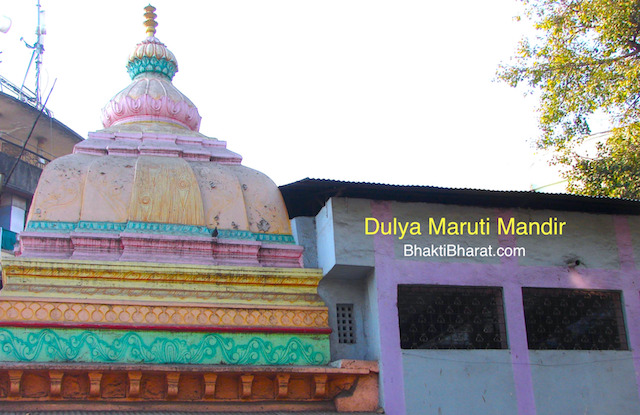 This temple is located near the famous Pandava Kalin Shri Batuk Bhairav ​​Temple. प्राचीन श्री हनुमान मंदिर (Prachin Shri Hanuman Mandir) is the oldest Hanuman Lala temple of East Delhi. Shri Hanumant murti appeared after a heavy flood in holy river Yamuna around 1970s. A walking distance from Tilak Nagar metro station, you can found Prabhu Shri Vishnu in श्री हरि मंदिर (Shri Hari Mandir), Janakpuri. The source of fresh air, large beautiful Dhingra park/garden also available infront of temple. श्री हिंगलाज भवानी मंदिर (Shri Hinglaj Bhawani Mandir) inaugurated with the blesses of his holiness Shri Jagadguru Shankaracharya Swami Swaroopanand Saraswati Ji Maharaj Shankaracharya of Dwarakapeeth Dham in the Gujrat. With the divine grace of A.C. Bhaktivedanta Swami Prabhupada, in 1989 Delhi NCR found their first ISKCON temple named as श्री श्री राधा पार्थसारथी मन्दिर and popularly called इस्कॉन मंदिर दिल्ली. श्री श्री रुक्मिणी द्वारकाधीश मंदिर (Sri Sri Rukmini Dwarkadhish Mandir) having a unique cultural and vedic education center near metro station, also known as ISKCON Dwarka. All happended due to the causeless mercy of devotees of the श्री श्री राधा मदन मोहन मंदिर (Sri Sri Radha Madan Mohan Mandir) having The Center for Vedic Studies and Performing Arts, also known as ISKCON Ghaziabad. The new center of Vedic studies and arts इस्कॉन टेंपल ग्रेटर नोएडा (ISKCON Temple Greater Noida). ISKCON Greater Noida is currently in growing phase, Please contribute for this Vedic Center with all your Tan-Maan-Dhan. Sixty feet spire, seven stories, 130 feet height, vertical spiritual artcheture to accommodate all of a mandir in small area. श्री राधा कृष्ण मंदिर (Shri Radha Krishna Mandir) adjacent to Krishna Jayanti park, popularly called ISKCON Noida. श्री श्री राधा गोविंद जी मंदिर (Sri Sri Radha Govind Ji Mandir) having a Goshala with more than 50 cows in Bahadurgarh. Popular for kirtan, spiritual lectures by brilliant scholars, known as ISKCON Punjabi Bagh. श्री जगन्नाथ मंदिर (Odia: ଶ୍ରୀ ଜଗନ୍ନାଥ ମନ୍ଦିର, Shri Jagannath Mandir) dedicated to Lord Jagannath near Hauz Khas Metro Station (Gate No 3). The Deities, Lord Jagannath, Balabhadra, Subhadra and Chakra Sudarshan are made of margosa(Neem) wood. Bhagwan Shri Shantinath Ji jinalay श्री दिगम्बर जैन शान्तिनाथ गोल्डन टेंपल (Shri Digambar Jain Shantinath Golden Temple) popularly known as जैन गोल्डन टेंपल (Jain Golden Temple) near Rohini West metro station, New Delhi. Kavi Nagar Jain Mandir, near Arya Samaj Mandir dedicated to 23td jain Tirthankar Bhagwan Parshwanath Ji therefore called श्री पार्श्वनाथ दिगंबर जैन मंदिर (Shri Parshwanath Digambar Jain Mandir). The 41 inches high Golden Coloured metallic diety of Bhagwan Mahaveer Ji is placed on a beautiful platform(बेदी, bedi) made of Makrana stone in श्री दिगंबर जैन मंदिर (Shri Digamber Jain Mandir) Vasundhara. श्री किलकारी बाबा भैरव नाथ जी पांडवों कालीन मंदिर (Shri Kilkari Baba Bhairav Nath Ji Pandvon Kalin Mandir) dedicated to Baba Bhairav Nath Ji(also called Bhairon, Bheron, भैरों) an fierce incarnation of Baba Bhairav founded by Pandavas, near Indraprastha metro station, Purana Qila(Kila) and Pragati Maidan. Bheem worshipped here and got siddhis in this area, After winning Mahabharat war, Pandavas initiate this temple. After independence, the great devotee from Kingsway Camp initiate a holy place of Shri Raj Ji Maharaj and Shri Shyama Maharani known as श्री कृष्ण प्रणामी मंदिर (Shri Krishna Pranami Mandir), 100 meter away from gate No 2, GTB Nagar metro station. A center of Nijanand Sampraday श्री कृष्ण प्रणामी मंदिर (Shri Krishna Pranami Mandir), Rohini Delhi. A golden history of 3060 kanya vivah, 30k free polio upchar and organized 33 Gaushala. श्री कृष्ण प्रणामी मंदिर (Shri Krishna Pranami Mandir) the center of Nijanand Sampraday, 100 meter away from Nangia Park. A serious spiritual thoughts of Smt Sheela Devi was execute in the form of माँ महाकाली मंदिर (Maa Mahakali Mandir) near Sri Venkateswara Balaji Temple in RK Puram Delhi. Near by famous location are metro station Hauz Khas and Africa Ave.
मंगल महादेव बिरला कानन (Mangal Mahadev Birla Kanan) was inaugurated on the occasion of year 1994 Maha Shivaratri, during the presence of Honorable Ex-Prime Minister Shri Atal Bihari Vajpayee and in the presence of Shri Sarla-Basant Birla. Mano kamna Sid temple श्री मनोकामना सिद्ध बालाजी मंदिर (Shri Manokamna Siddh Balaji Mandir) near Vaishali metro station and dedicated to Lord Hanuman. Lord Shri Hanuman full fill devotee's all wishes, therefore called `Mano kamna Sid` Temple. मयूर विहार कालीबाड़ी (Mayur Vihar Kalibari), the center of monthly amavasya Kaali Puja followed by 9:00 PM Bhandhara. Shri Ganesh Ji at the first entrance and the second one is blassed with Sankatmochan Shri Hanuman. म्यांमार स्तुप मंदिर (Myanmar Stupa Temple) also called Burmese Temple built by Burmese monk. Ancient श्री नीलकंठ शिव मंदिर (Shri Neelkanth Shiv Mandir) is the Gram Devta of village Bishanpura. Therefore temple is as old as Bishanpura history. नई दिल्ली कालीबाड़ी (Bengali: নতুন দিল্লী কালীবাড়ি, New Delhi Kalibari) the center for Bengali culture in New Delhi, A most oldest Maa Kali temple in Delhi-NCR. First in Noida, Shri Shri Durga Puja was celebrated in Oct 1983 under the banner of Noida Durga Puja Samiti, at Noida Club, Sector 27. Subsequently Noida Bengali Cultural Association(NBCA) was established and registered in 1984. which was initiation of नोयडा कालीबाड़ी (Noida Kalibari) with Shivling and Shri Radha Krishna dham. परिनिर्वान स्तुप मंदिर (Parinirvana Stupa Mandir) is a Buddhist temple, the nirvana place of Gautama Buddha. 6.1 meter long lying Buddha murti, lying on His right hand with the head to the north. After visiting New Delhi Kalibari, Noida Kalibari and Dakshin Delhi Kalibari, now one more Kalibari visited in the heart of Janakpuri area near Tilak Nagar metro station called पश्चिम दिल्ली कालीबाड़ी (Pashchim Delhi Kalibari, Bengali:পশ্চিম দিল্লি কালীবাড়ি) in Delhi-NCR. प्राचीन गणेश मंदिर (Prachin Ganesh Mandir) founded in 7 Jul 1994. Main temple have panch shikhar along with Shivlay and Navgrah dham. A ancient holy place of Lord Hanuman in Shankar Vihar colony named as अखंड ज्योति मनोकामना सिद्ध संकट मोचन प्राचीन हनुमान मंदिर (Akhand Jyoti Manokamna Siddh Sankat Mochan Prachin Hanuman Mandir) having akhand jyoti, near V3S mall and Nirman Vihar metro station. प्राचीन शिव शक्ति मंदिर (Prachin Shiv Shakti Mandir) dedicated to Lord Shiv and Maa Aadi Shakti and her other forms of Navdurga, near Mahagun Metro Mall. The largest temple of East Delhi पूर्बाशा काली मंदिर (Purbasha Kali Mandir), the center of Bengali spiritual activities. श्री सनातन धर्म राधा कृष्ण मंदिर (Shri Sanatan Dharm Radha Krishna Mandir) a temple with the large span of spiritual deities, near Ramleela Ground Pandav Nagar. Shri Ram and Bhakt Hanuman dham pran pratistha held in 1972. Shri Durga avtari Maa Narayani temple, श्री राणी सती दादी जी मंदिर (Shri Rani Sati Dadi Ji Mandir) inspired with Rani Sati Temple, Jhunjhunu. 4.5 feet padmasana Bhagwan Shri Rishabhdev in श्री रिषभांचल जैन मंदिर (Shri Rishabhanchal Jain Temple) famous for dyan yoga kendra. A inspiration of Poojya Maa Shri Kaushalji as a centre of practicing Yoga/Dhyan, irrespective of cast and faith. The seven storey temple, as per hindi translation known as the सात मंजिला श्री सनातन धर्म मंदिर (Saat Manjila Shri Sanatan Dharam Mandir) is situated in Fruit Market, Tilak Nagar near the metro station. Every seven floors serve as a court to different deities. श्री सनातन धर्म लक्ष्मी नारायण मंदिर (Shri Sanatan Dharam Laxmi Narayan Mandir) is one of the popular temples in Lajpat Nagar since Sharwan Purnima 1958. People of Arun Vihar initiate a holy place to spread the message of sanatan dharm via श्री सनातन धर्म मंदिर (Shri Sanatan Dharm Mandir) in 31 March 1987. With the grace of Lord Hanuman, people of BHEL Township established a श्री सनातन धर्म मंदिर (Shri Sanatan Dharm Mandir). After independence, temple formed as Shri Radha Krishna Mandir in Kingsway Camp. In 1962 relocated in Hakikat Nagar and named as श्री सनातन धर्म मंदिर (Shri Sanatan Dharm Mandir), 50 meter away from gate No 2, GTB Nagar metro station. The great efforts of Shri RC Shukla Ji and Vasundhara sector 10 society spread the message of sanatan dharm with a beautiful green belt area attached with श्री सनातन धर्म मंदिर (Shri Sanatan Dharm Mandir) near by Shri Digamber Jain Mandir. A divine center of bengali religious and cultural activities शालीमार बाग कालीबाड़ी मंदिर (Shalimar Bagh Kalibari Mandir) since 20 August 2004. Near by places Montfort Nursery School, Police Colony and Azadpur Fruit Market, 300 meter away from Adarsh Nagar metro station. श्री शीतला माता मंदिर (Shri Sheetla Mata Mandir) is dedicated to the Devi Kripi/Kirpai, wife of Guru Dronacharya. She is kuldevi of village Gurugram therefore devotee offer mundan ceremony and married couples come to take the blessings. श्री शिव दुर्गा मंदिर (Shri Shiv Durga Mandir) is the Lord Shiv-Shakti temple since 1983. Now this temple is disability enable temple of Punjabi Bagh. प्राचीन श्री शिव हनुमान मंदिर (Prachin Shri Shiv Hanuman Mandir) is established by the government employee of Hasanpur Depot New Delhi. In the middle of B-block market, Village Chhalera have spiritual place called as Lord शिव मंदिर (Shiv Mandir). Having two sided entry from both side street. प्राचीन शिव मंदिर (Prachin Shiv Mandir) is one of the oldest temple of Gautam Buddha Nagar. Initially started by Shri Baba Balnath Ji and after his Samadhi temple renovate on his Samadhi Sthal. New seven shikhar temple also under process adjacent of current location. With the great help of Shakti Khand devotees, Pandit Shri Kuldeep Sharma dedicate everything to initiate and maintain श्री शिव मंदिर (Shri Shiv Mandir) in the bank of Hindon canal. शिव साईं मंदिर (Shiv Sai Mandir) founded by Shri kalicharan Ji in 1970, having old Shiv-Parvati temple at the center along with Sai Baba bhavan. Entry gate having good lights view with Shiv Kailash view at the end of beautiful fountain. One of the oldest Shri Shani Dev temple of Noida named as प्राचीन शिव शनि मंदिर (Prachin Shiv Shani Mandir). Initially temple was dedicated to Shri Shani Manaraj, later on also added Shivlingm with all Gan. श्री दिगंबर जैन लाल मंदिर (Shri Digambar Jain Lal Mandir) dedicated to 23rd Tirthankara Parashvanath, the oldest Jain temple in Delhi popularly also known as Lal Mandir (Red Temple). A manastambha column stands in front of the temple. The main devotional area of the temple is on the first floor. श्री दुर्गा मंदिर (Shri Durga Mandir) dedicated to Maa Durga, founded on 7 May 1965 near Moti Nagar metro station. A group of Mata Bhakt collactively come together and decided to build a social and dharmik place. The result of such concept initate a श्री दुर्गा मंदिर (Shri Durga Mandir) in Preet Vihar. A unique style of structure Kumaoni temple architecture initiated by Kurmanchal Sanskritik Sangthan near Hauz Khas metro station Campus dedicated to Goddess Durga therefore named श्री दुर्गा मंदिर (Shri Durga Mandir). श्री दुर्गा माता मंदिर (Shri Durga Mata Mandir) dedicated to Maa Durga, near Moti Nagar metro station. श्री गौरी शंकर मंदिर (Shri Gauri Shankar Mandir) dedicated to Lord Shiv and Maa Adishakti, an 800 year old Lingam made of a brown coloured Phallus Stone that is wrapped within a marble structure that represents the form of a female organ. गुरुद्वारा श्री गुरु सिंह सभा (Punjabi: ਗੁਰਦੁਆਰਾ ਸ੍ਰੀ ਗੁਰੂ ਸਿੰਘ ਸਭਾ, English: Gurudwara Shri Guru Singh Sabha) near Moti Nagar metro station along with Shri Durga Mata Mandir. श्री लाल मंदिर (Shri Lal Mandir) dedicated to Maa Durga near Noida sector 15 metro station. श्री लक्ष्मी नारायण मंदिर (Shri Laxmi Narayan Mandir) founded by Swami Kalyandev Ji Maharaj in 2000. During an interview, Swami Kalyandev said his inspiration came in 1893, when he met Swami Vivekananda in Khetri, who said to him, *If you want to see God, go to the huts of the poor. Nearest Shri Radha-Krishna temple from Vaisali metro station श्री राधा कृष्ण मंदिर (Shri Radha Krishna Mandir). श्री रघुनाथ मंदिर (Shri Raghunath Mandir) old and famous temple dedicated to Purushottam Sri Ramchandra Ji, founded by Shri Raghunath Mandir Sabha, Ramprastha in 1983. A large campus of श्री सनातन धर्म मंदिर (Shri Sanatan Dharm Mandir) with garden entry gate attached with Lord Shiv murti along with water fountain near sector 18 metro station Noida. Residency area of Green Park Block-K, a center of spiritual transformation श्री सनातन धर्म मंदिर (Shri Sanatan Dharm Mandir) dedicated to Purushottam Sri Ramchandra Ji near Green Park metro station. श्री शिव मंदिर (Shri Shiv Mandir) dedicated to Lord Shiv in the busest market area of Vaishali sector 2 along with Shri Shani Dham and Sai Darbar, share same wall with Jagannath Mandir near Vaishali metro station. श्री शिव नवग्रह मंदिर धाम (Shri Shiv Navgrah Mandir Dham) dedicated to Navgrah with the presence of Loard Lord Shiv, Navgrah. The main dham of the temple is dedicated to Shri Shani Maharaj Ji. Dravidian temple architecture of type cholas, situated near Arya Samaj Mandir named as श्री शुभ सिद्धि विनायका मंदिर (Shri Subha Siddhi Vinayaka Mandir) dedicated to Lord Shri Ganesh (विनायक). श्री वेंकटेश्वर स्वामी वारी मंदिर (Telugu: శ్రీ వెంకటేశ్వర స్వామి వారీ ఆలయం, Shri Venkateswaraswami Vari Temple) (or Sri Venkateswara Swamy Vari Mandir) dedicated to Lord Balaji (Sri Venkateswara Swamy) and organized by TTD. श्री लक्ष्मी नारायण मंदिर (Shri Laxmi Narayan Mandir) is dedication to Goddess Shri Lakshmiji and her consort Lord Shri Narayan, thus is known as Shri Lakshmi Narayan Mandir. श्री सिद्धिविनायक मंदिर (Shri Sidhivinayak Mandir) shows the love of Shri Devki Nandan Kalra towards his mother, and initiate a huge Shri Ganesh murti (statue) in 2012. Dravidian chera style architecture which is followed in Indian state Kerala can be viewed in Delhi/NCR, Lord Ayyappa mandir named as श्री अय्यप्पा मंदिर (Malayalam: ശ്രീ അയ്യപ്പ ക്ഷേത്രം, Sree Ayyappa Temple). श्री वेंकटेश्वर (बाला जी) मंदिर (Tamil: ஷி வெங்கடேஸ்வரா ( பாலாஜி ) கோயில், Sri Venkateswara (Balaji) Temple) or (Shri Venkateshwara Mandir) Tamil architecture base Balaji temple dedicated to Lord Balaji (Sri Venkateswara Swamy) in RK Puram New Delhi. One of the greener and cleanest spiritual view in Delhi Capital Region श्री विनायक मंदिर (Sri Vinayaka Temple), near D-park sector 62 Noida. श्री कृष्ण मंदिर (Malayalam: ഉത്തര ഗുരുവായൂരപ്പൻ ക്ഷേത്രം, Hindi: श्री कृष्ण मंदिर, Uttara Guruvayurappan Temple) dedicated to Shri Krishna near Mayur Vihar Phase 1 metro station. Read about Guruvayurappan. उत्तरा स्वामीपर्वत मंदिर (Tamil: உத்தர சுவாமி மலை கோவில், Uttara Swamimalai Temple, Hindi Translation of English: उत्तरा स्वामीमलाई टेंपल) tradition of locating Lord Swaminatha (Lord Murugan) temple on hills in Ramakrishna Puram, opposite Vasant Vihar, Near Dakshin Delhi Kalibari. Center attraction of the temple is center main hall of Maa Kali dham on first floor with all nine form of Navdurga therefore called श्री वैष्णो देवी मंदिर (Shri Vaishno Devi Mandir). भगवान श्री वाल्मीकि आश्रम (Bhagwan Shri Valmiki Ashram) is the spiritual assembly of Akhil Bhartiya Valmiki Sadhu Akhara Parishad in the large premises of Nehru Park. Valmiki Ashram is situated nearby the famous Shri Batuk Bhairav ​​Temple. Second oldest Maharishi Valmiki temple of Delhi, named as भगवान वाल्मीकि मंदिर (Bhagwan Valmiki Mandir) organized by valmiki samaj near Lok Nayak Bhawan and Shri Gopal Mandir. Valmiki temple is easily accessible from Khan Market metro station. Swami Raghawanand Ji Maharaj from Delhi Udasin Ashram inaugurated भगवान वाल्मीकि मंदिर (Bhagwan Valmiki Mandir) on the occasion of Valmiki Jayanti in 2015. Valmiki temple is easily accessible from Rohini East metro station. Siddhapeeth, Shaktipeeth, Gyanpeeth and Jyotipeeth श्री योगमाया मंदिर (Shri Yogmaya Mandir) is taken care by 16th generation of same family of vatsh gotra. Temple is dedicated to Shri Yogmaya sister of Lord Krishna, Near by Qutub Minar. दिल्ली के प्रसिद्ध श्री झूलेलाल मंदिर! द्वारका, गुजरात के विश्व विख्यात मंदिर! हरे कृष्ण आंदोलन के रूप में भी जाना जाता है। भारत में इस्कॉन मंदिरों की सूची..
श्री कृष्ण प्रणमी संप्रदाय के दिल्ली में कहाँ-कहाँ मंदिर हैं, जानने के लिए आगे पढ़ें..